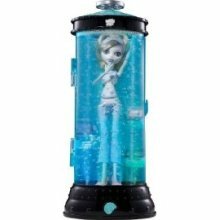 Enter to win a Monster High Prize Pack in the Wholly Guacamole It’s A Giveaway Hop! Make sure to ENTER TO WIN a prize pack valued at over $200 from Wholly Guacamole! Be sure to enter to win our prize here and then hop to the other blogs below the rafflecopter entry form to enter to win more great prizes! Spring Buzz Hop is hosted by Tammilee Tips, Money Saving Michele and Klippin Krazy Koupons and the Grand Prize is sponsored by Wholly Guacamole. The 3 host blogs just mentioned all have the same rafflecopter and they all link together, so if someone goes to one page they will be directed to enter on the other pages, just remember to say that Giveaway Bandit referred you! Year of Free Guac (24 FREE product coupons good through 2012) – Value: $156.00 (not pictured) Insulated Cooler with product – Value – $50 from Wholly Guacamole! Enter at any of the host blogs mentioned above. Remember to say that Giveaway Bandit referred you! 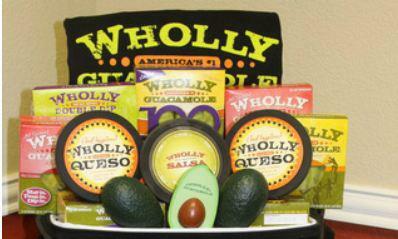 Wholly Products featuring Wholly Guacamole, Wholly Salsa & Wholly Queso. America’s #1 Fresherized Foods! Watch about Wholly Guacamole on the Ellen Degeneres Show and watch Andy dip his chip in it! A Monster High Prize Package including a Monster High Hydration Station, Abbey Bominable Doll, & Monster High Backpack! A $100 Value! Giveaway ends on April 10 at 11:59 pm EST and is open WORLDWIDE, 18 and over. Enter below on the rafflecopter entry form. Good luck! Disclaimer: Please note that The Wholly Guacamole Giveaway Hop hosts and participating bloggers are not responsible for sponsors that do not fulfill their prize. We have represented each sponsor with the expectation that they will fulfill their prize in a timely manner. We will make every effort to assist the winner in obtaining their prize to the best of our ability. « Enter to win NEW iPad & Amazon Kindle Fire in April iPad Mania Giveaway! Never tried Wholly but always willing to especially for Monster High! No I have never tried their products.I would like to try Wholly Salsa Mild . I have tried the Wholly Salsa, mild and medium. I love monster high dolls! Awesome prizes, Thanks! I would like to try the Spicy 100 calorie packs. I have tried the organic wholly guacamole, I would like to try the layered dip. I have never tried it before, I would love to try it in tacos! I have tried their classic guacamole, it’s so good! I like their recipe for sunset guacamole on their site. I love their spicy guacamole! I have tried Wholly Guacamole Products and I love them. They are healthy and I use this product only to put on top of my Nachos! I would love to try the Wholly Guacamole Spicy….I have never tried these products but they sound delicious! 🙂 Thank you. i never tried these products but i learned that there are 20 vitamins and minerals in every portion!!! I’ve tried the classic guacamole and want to try the spicy flavor and the wholly salsa! Have you tried any Wholly Guacamole Products? View their website and let us know something you’d like to try or something you learned. Classic I would love to try. I have heard it called an Alligator Pear but never the other names. I’d like to try Wholly Queso Classic. I learned that Ellen had fun with it. I have never tried their products but would love to try the Organic. I’d like to try their Salsa! Thanks! I’d like to try the Queso. I love the spicy Wholly Guacamole, I also love their Fresh salsa…Hot as well! i love their guacamole! they carry it in all our local grocery stores. their salsa is great too. I want to try the 100 calorie snack packs! I have not tried it yet but the spicy sounds like something I might like! I would like to try the organic version! I love guac! But I have never tried Wholly Guacamole before. On their website I discovered they have a 100 calorie spicy guac… Yum!!! I have never tried it but I think it will be perfect for tacos as well. I’ve tried the 100 calorie snack packs. I would love to try the organic Guac! No, I have not tried Wholly Guacamole before. I didn’t know that they made Wholly Queso too. The Spicy 100 calorie packs look good for me! I have tried the Wholly Queso. I love that stuff! WHOLLY GUACAMOLE is the United States’ best-selling brand of pre-made Guacamole! i would love to try the mild salsa! I love their Guacamole, and would love to try their Salsa and Queso, which I have not yet been able to find at my local Wal Mart. I would love to try their Wholly Queso. I have not tried any of their products but they all look very good! There is a Seven Layer Dip in the Recipes section I would like to make. I pinned it to my Pinterest board. I want to try the Wholly Salsa! I wanna try the salsa! I’m always looking for a good salsa! No have never tried but love to try the ones with garlic! I want to try EVERYTHING! I love that they have snack packs. I have tried some, but I want to try the Spicy 100 Calorie!